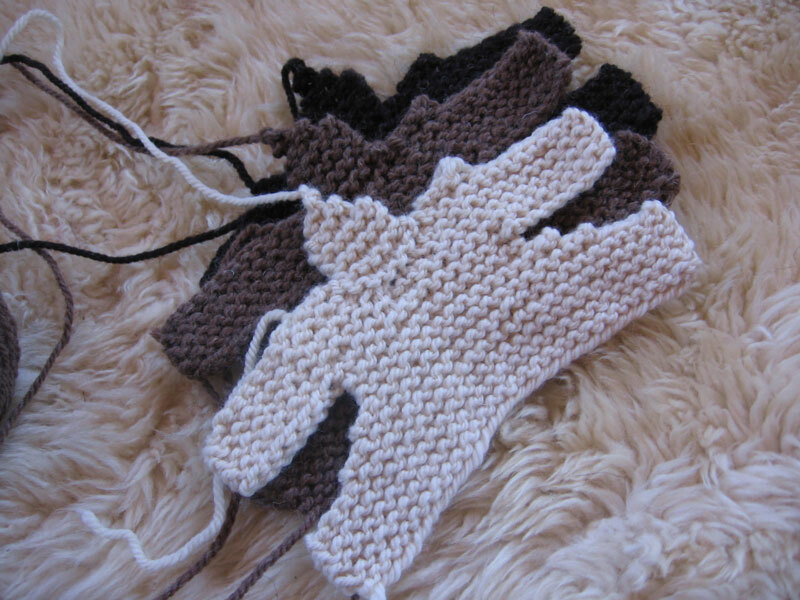 When I was 8, my mom gave me a knit your own lamb kit. 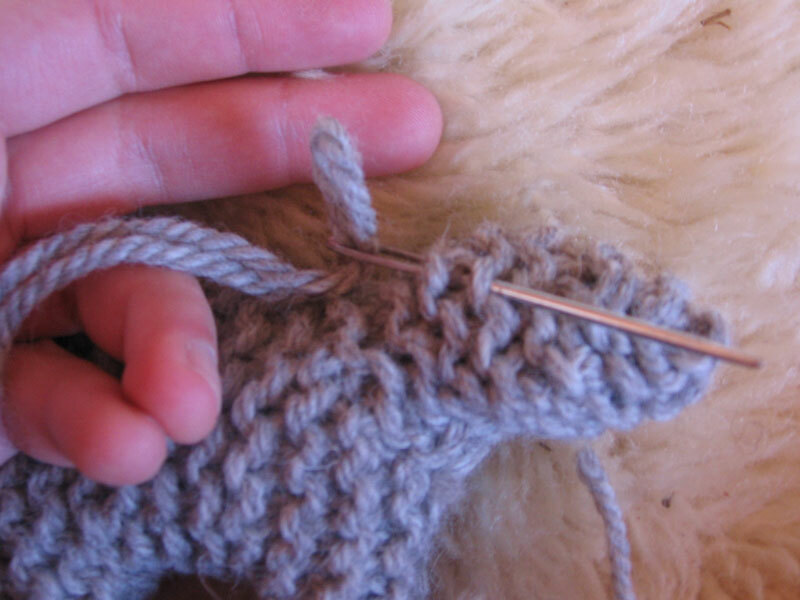 I remember carefully knitting the lamb, and painstakingly sewing the seams. It was quite an ordeal. I loved my lamb, and played with it for many years. I don’t know where it is anymore…somewhere in a box in storage I guess. 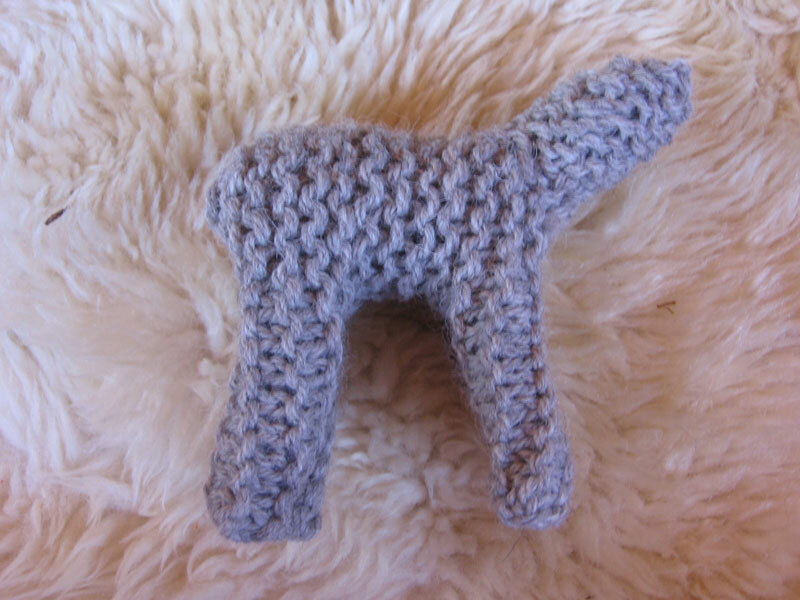 I wanted to make a lamb in the style of the original, so I put the lamb piece #1 down and took to the internet. With no luck. I found one random posting for a kit being sold from 2001, and that was it. I called all friends that might have had the pattern, which was written in 1988. No luck there either. Then a few weeks ago, I was looking in a notebook full of recipes and other notes, and page number 2 fell out! So I set to making lambs. Attaching the top of the head to the chin. 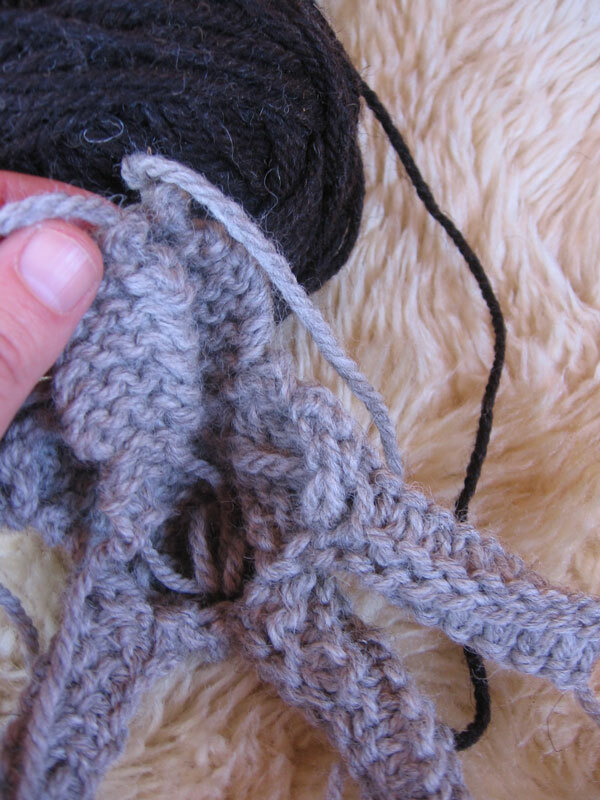 Stuffing the legs by pushing wool batting to the tips with a thin pen. Sewing up head and neck. 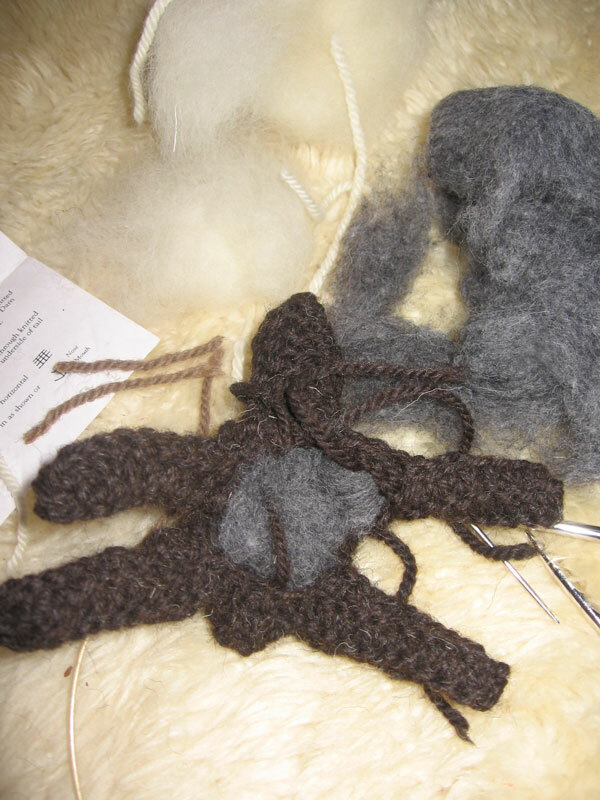 The process of actually knitting these lambs is quite quick and easy. The time is spent in assembling the parts and sewing them all together. …they look rather funny! 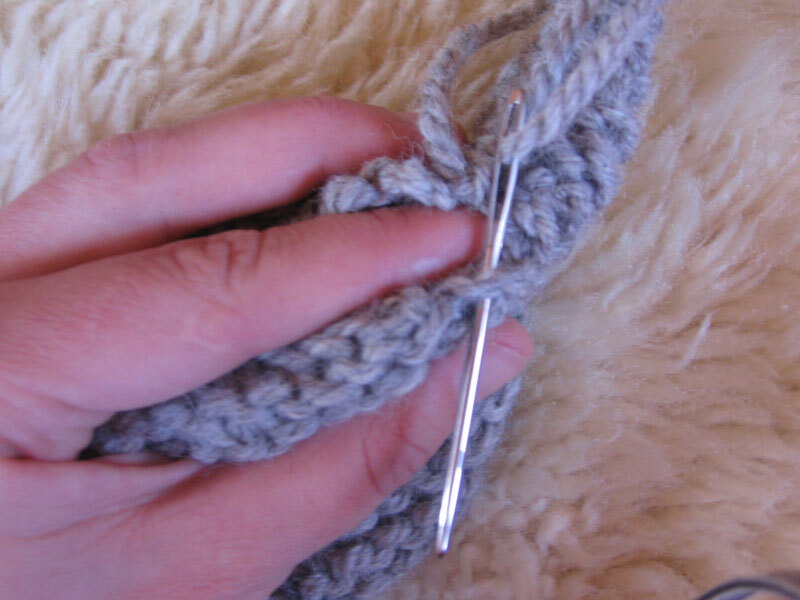 Ears and tails are attached by threading a double length of wool through a stitch or two on the head and rump. 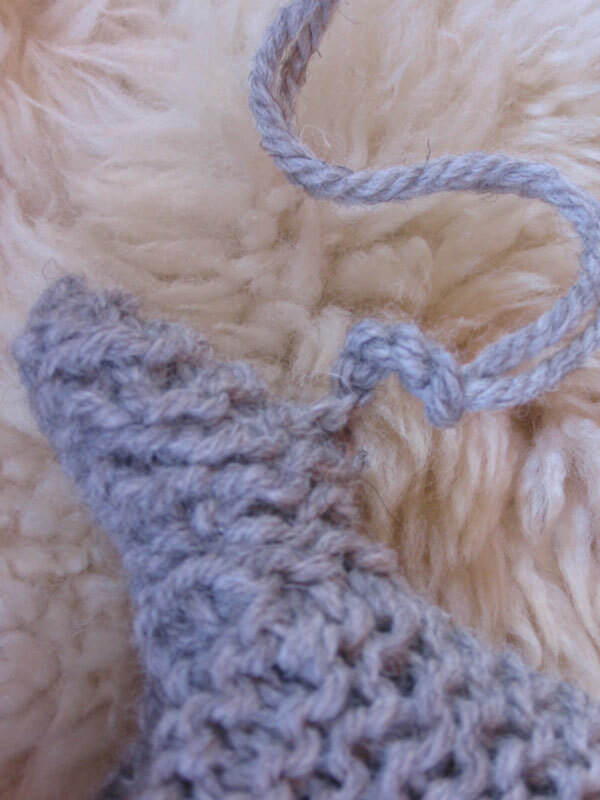 The yarn is then crocheted for a few chains, and the loops are reattached to the body, forming a little bubble for ears and tail! 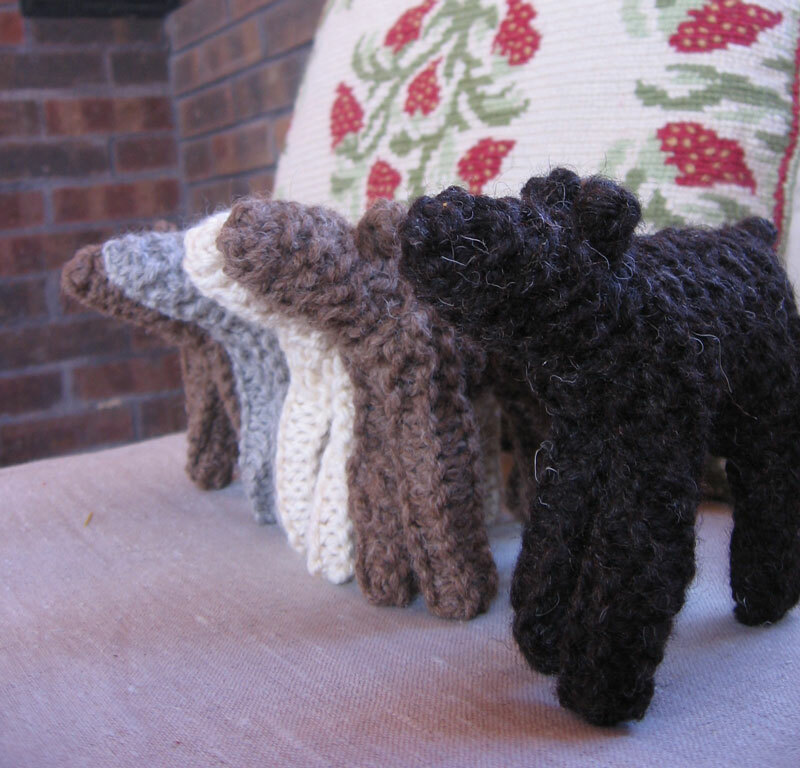 I was talking with my friend Jeanne, who used to raise sheep and lambs, and she said that the tails of lambs are actually rather long and floppy, but we agreed that the loopy tail looks quite sweet. We have a beautiful undyed yarn from Rowan (Rowan Sheep Breeds) in our store, and the variations in color and texture come from the different breeds of sheep. 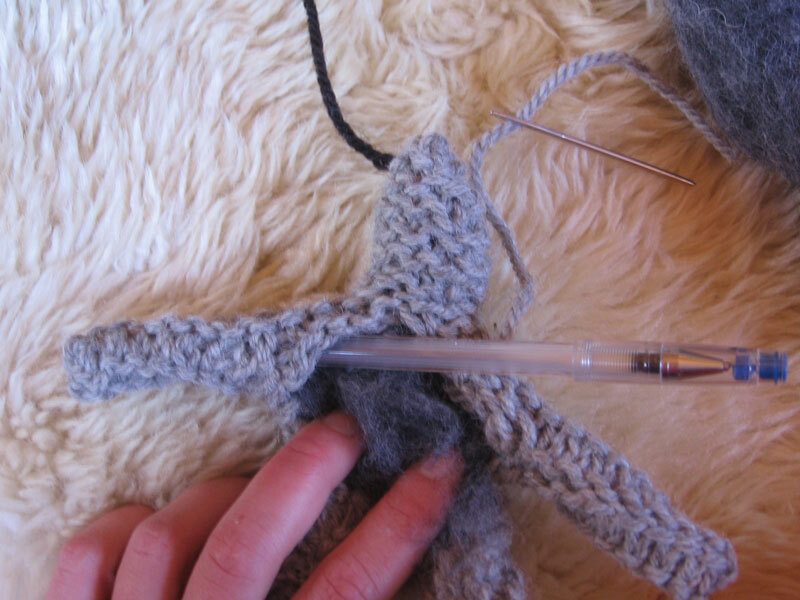 I have knit several sweaters out of this yarn, and just love it! 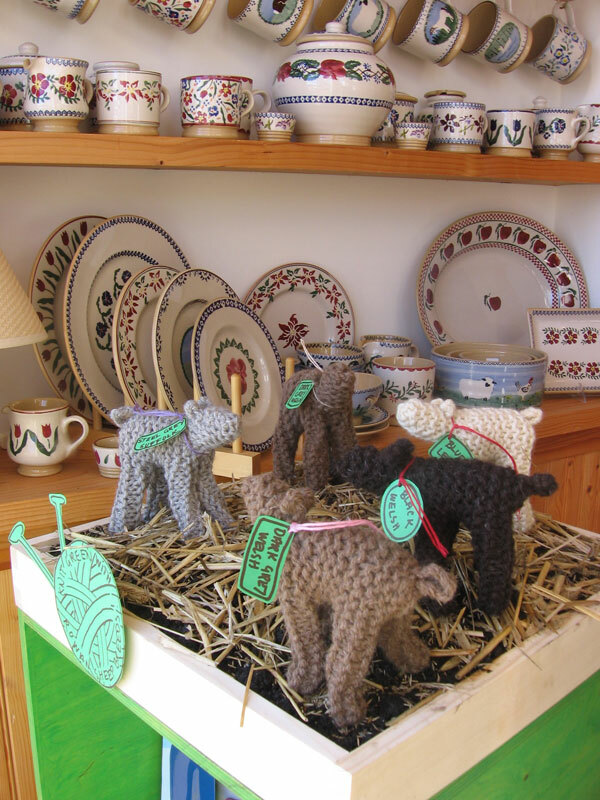 I wanted to make a little field of lambs, to show some of the different colors of yarn for the store window. Kathy made a beautiful wooden box, which we lined with plastic, and filled with pea gravel and potting soil. We sprinkled the soil with grass and clover seed (and a few poppy seeds!) and covered the top with straw. I am hoping that the grass will poke up soon through the straw field, so the lambs have something to frolic in and graze on! So cute! I once had a diorama in school of the pioneers out on the prairie that I planted some sort of grass in. I also cut off a bit of my hair to make the mane and tail of the plow horse! I had to water the grass every day or so with a spray bottle. What commitment! haha.